At fifteen years old, Valerie Darsin, was loved and cherished by her brothers and boyfriend. Her small town world was happy and secure until a sudden betrayal forced her to flee. Returning home, Valerie found support in Flynn Docherty-a guy who left her with unfamiliar feelings when he disappeared from her life. Valerie learned to move on, until a life-changing event brought Flynn back, but was she ready? 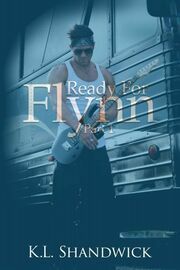 Has she ever been Ready For Flynn?